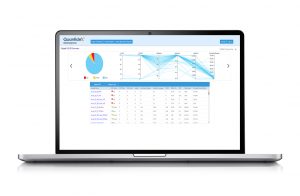 The QuantideX® NGS RNA Lung Cancer Kit* is a clinical research tool enabling the simultaneous assessment of fusions, exon skipping, and other expression targets frequently observed in non-small cell lung cancer (NSCLC). Leveraging our proprietary NGS-in-a-Box™ workflow and Sample-Aware™ bioinformatics quality control solutions, this kit offers a simple, sensitive, and reliable NGS assay for routine investigation of NSCLC samples. 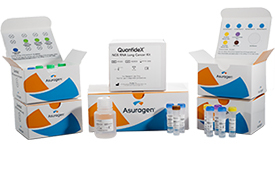 The QuantideX NGS RNA Lung Cancer Kit offers a unique NGS-in-a-Box™ solution that provides unprecedented NGS workflow efficiency and high sensitivity at low input amounts from precious FFPE NSCLC samples. A focus on only the most important lung cancer fusion genes, MET exon 14 skipping events, 3’/5′ imbalances and mRNA expression from multiple published data sources such as COSMIC, ClinicalTrials.gov, NCCN Guidelines, etc. A unique NGS-in-a-Box™ configuration offers a simplified and fully integrated NGS workflow with cGMP-manufactured reagents, components and controls ready to run right out of the box. 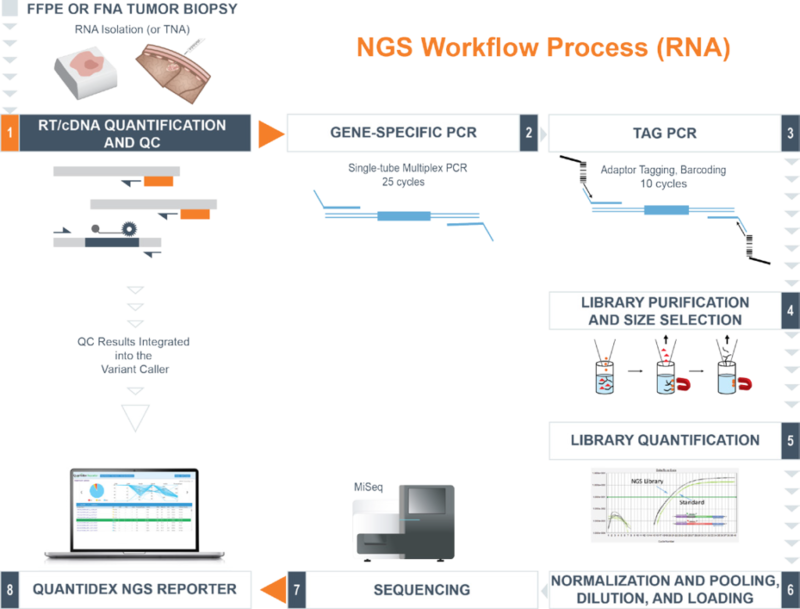 Adopt and run NGS-based analysis with minimum investment of time and resources, regardless of NGS experience and infrastructure. 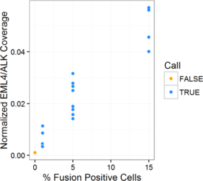 QuantideX NGS Assay is capable of detecting fusions and splice variants down to 1:100 cells. (a) Admixture of MET exon 14 positive cell line in the background of wild-type cells, and (b) fusion, and (c) 3’/5’ imbalance status for an admixture of EML4-ALK positive FFPE in the background of a negative FFPE. Push-button analytics & reporting suite – Set-up-and-go workflow designed for easy installation and implementation, right out of the box. Runs directly on lab desktop – Install locally on a Windows® desktop computer. No prior bioinformatics experience or large server environments required. 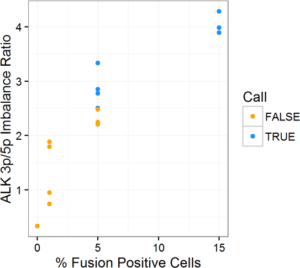 Comprehensive reporting – Full bioinformatics and reporting of variants (SNVs, SNPs, Indels, fusions), and standard QC metrics are automatically calculated. 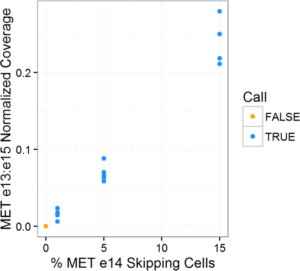 Integrates QuantideX RNA/DNA QC Assay – Sample-Aware™ bioinformatics with integrated functional template copy number analysis dramatically reduces false-call rates. Seamless updates offered with new panel designs & variant annotation – Software updates allow new panels to be adopted without re-investing in analytics when the Asuragen QuantideX NGS product line is adopted.